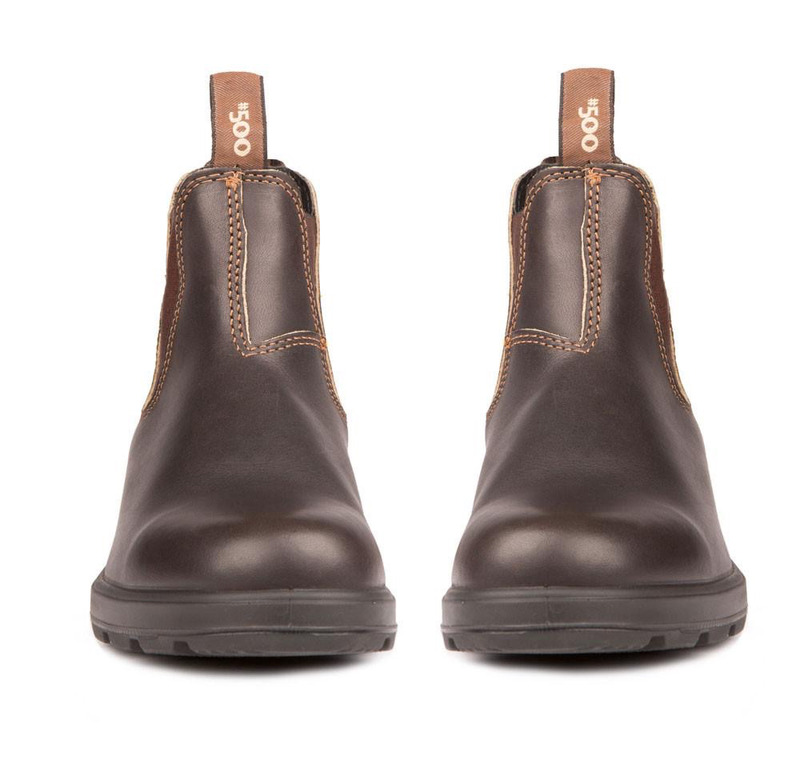 Blundstone Canada kicks it with The Blundstone 500 Original Stout Brown. Legendary Blundstone comfort in unisex Blundstone sizing. 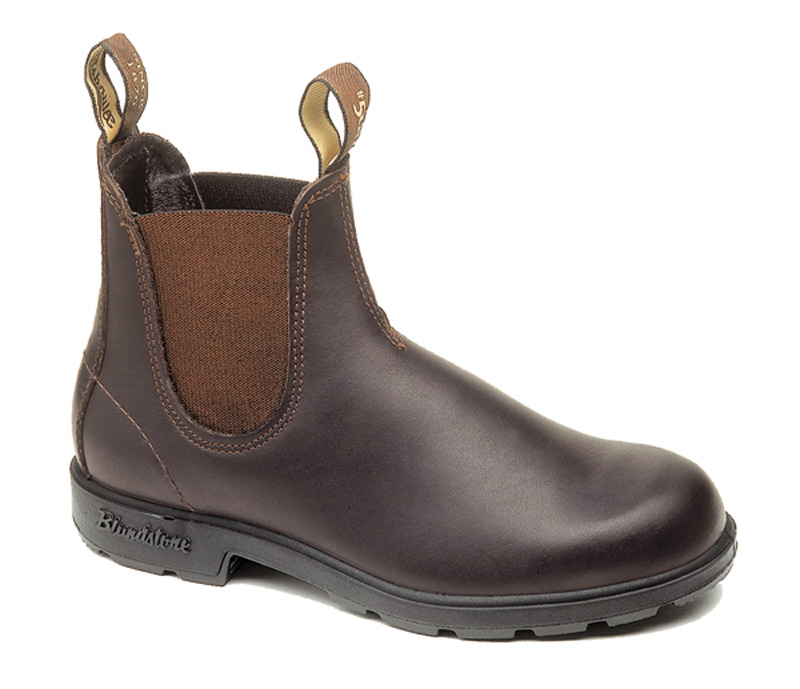 Premium leather elastic sided boot. Fully removable shaped comfort footbed. Polyurethane (PU) midsole/thermo-urethane (TPU) outsole highly resistant to hydrolysis and microbial attack. Oil, acid and organic fat resistant. Outsole heat resistant to 290°F. Steel shank - ensures correct step flex point, assists with torsional stability. Extra set of footbeds for fit adjustment. Lightweight and durable. Rule of Toe: For women subtract 3 sizes from your Canadian size. For men subtract 1 size from your Canadian size. For kid’s subtract 1 size from your Canadian size. It is not abnormal for there to be some initial movement in the boot, particularly in the heel area. Length is the most important element when trying them on. 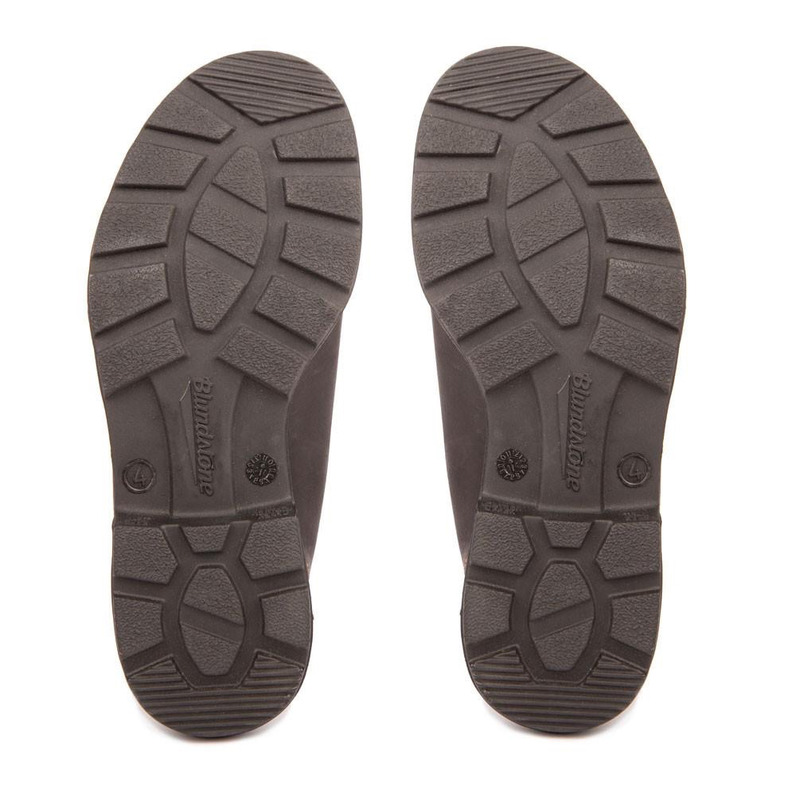 All Blundstone boots have reinforced toes which help keep the shape of the boot intact. The boots will never stretch in length. However, they will stretch and mold to the top of the feet, and will easily stretch in width if required. If the fit is initially tight on the top of your feet—be patient, it will stretch, or can be easily stretched by a cobbler. 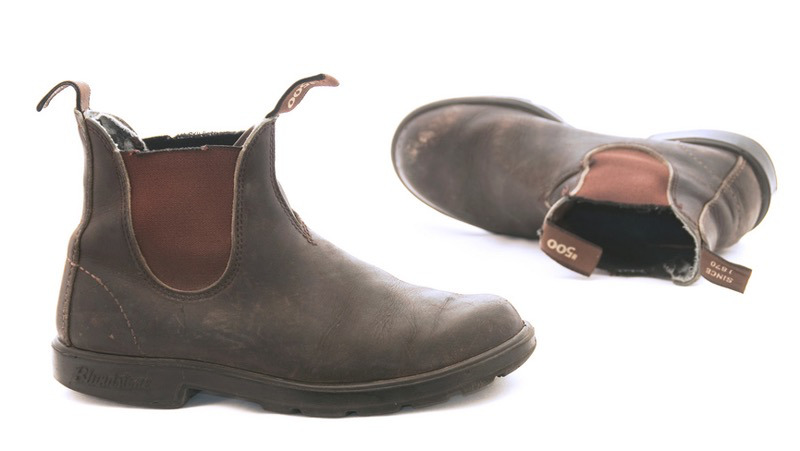 All Blundstone styles aside from the Women’s series, are unisex.